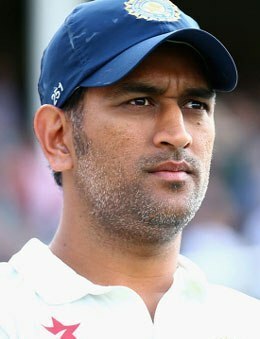 New Delhi: Indian captain Mahendra Singh Dhoni`s statement that coach Duncan Fletcher continues to remain the `boss` of the team and will stay till the 2015 World Cup has prompted a livid BCCI to take up the matter at the next Working Committee meeting. The BCCI top brass is fuming at Dhoni`s comments at the pre-match press conference in Bristol, saying that the captain has "over-stepped his brief" and has no business to decide the tenure of coaches. Dhoni`s comments have also raised speculation on whether he was on the same page with the BCCI bigwigs who had appointed Ravi Shastri as the Director of cricket in the wake of the team`s shambolic performance in the Test series against England. A very senior office-bearer, who is among the top decision makers in the board, made it clear that the matter will come up for discussion at the Board`s next Working Committee meeting. "What happened is very disappointing and unbecoming of an Indian captain. The matter will come up for discussion at the next working committee meeting of the board. Let`s get it straight. Dhoni is no one to comment as to who is the boss of the team. It`s not his domain," the senior office-bearer told PTI today. "Obviously, Dhoni has overstepped his brief as an Indian captain. The media can ask him any question but being a matured cricketer, he should know what his lines are. Just like BCCI officials are not going to decide who is in the playing XI, Dhoni does not decide who is going to stay till what time." "He has not been entrusted with the duty of recruiting the support staff or commenting on their tenure," said the official, who has also accompanied Indian team as manager on various tours." BCCI secretary Sanjay Patel had made it clear that the team would now be "Ravi Shastri`s baby" and Fletcher will have to report to him. Shastri himself had said in media interviews that Fletcher will have to report to him and he will be the overall incharge of the team. However, Dhoni came at the pre-match press conference and put his weight behind the beleaguered coach Fletcher by declaring that he continued to remain the `boss` and will stay in that position till the 2015 World Cup. "He (Fletcher) will lead us into the World Cup," Dhoni had said at the press conference. "Also he is still the boss. We have Ravi Shastri who will look into everything, but Fletcher is the boss. It`s not as if his powers or his position have been curtailed. I don? t know what you feel from the outside, but operations still remain the same. We have a few other support staff coming into the dressing room, but overall the operation remains the same," he had said. Dhoni also said that Ravi Shatstri will merely "oversee the team`s preparations" which is seen as an attempt to undermine the former India all-rounder`s position in the squad. The skipper also made it clear that he did not approve fielding coach Trevor Penney and bowling coach Joe Dawes` removal from the post.